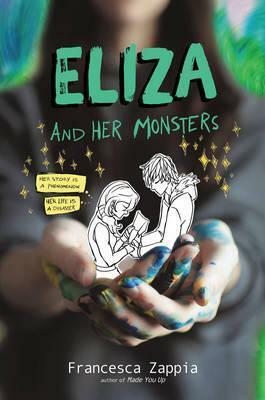 Eighteen-year-old Eliza Mirk is the anonymous creator of the wildly popular webcomic Monstrous Sea, but when a new boy at school tempts her to live a life offline, everything she's worked for begins to crumble. In the real world, Eliza Mirk is shy, weird, and friendless. Online, Eliza is LadyConstellation, anonymous creator of a popular webcomic called Monstrous Sea. With millions of followers and fans throughout the world, Eliza's persona is popular. Eliza can't imagine enjoying the real world as much as she loves her digital community. Then Wallace Warland transfers to her school and Eliza begins to wonder if a life offline might be worthwhile. But when Eliza's secret is accidentally shared with the world, everything she's built-her story, her relationship with Wallace, and even her sanity-begins to fall apart. With pages from Eliza's webcomic, as well as screenshots from Eliza's online forums, this uniquely formatted book will appeal to fans of Noelle Stevenson's Nimona and Rainbow Rowell's Fangirl. Francesca Zappia lives in central Indiana. When she is not writing, she's drawing her characters, reading, or playing video games. She is also the author of Made You Up and Eliza Mirk's favorite, The Children of Hypnos, a biweekly serial novel posted on Tumblr and Wattpad.